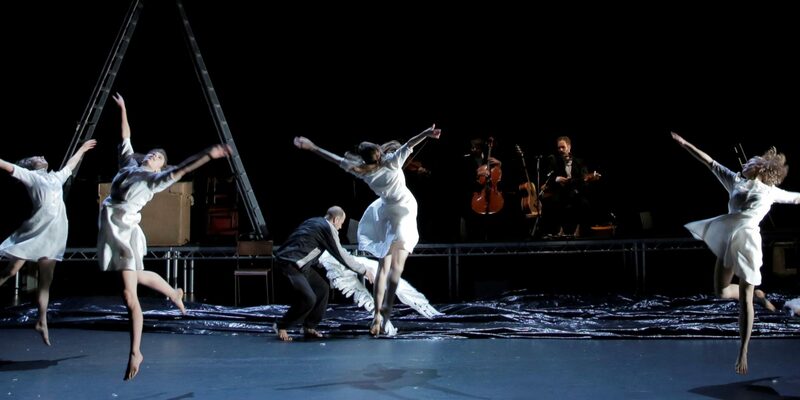 Featuring a cast of thirteen, including Mikel Murfi, this Swan Lake is rooted in a place where ancient Irish mythology and modern Ireland meet. The Dublin based band Slow Moving Clouds has created a new score that combines Nordic and Irish traditional music with minimalist and experimental influences. The result is a Swan Lake for our time and a stunning debut for Keegan-Dolan’s new company, Teaċ Daṁsa.